This year&apos;s influenza virus is the most widespread outbreak since public health authorities began keeping track more than a dozen years ago, according to the National Center for Immunization and Respiratory Diseases (NCIRD). The most dominant flu strain infecting people this season is H3N2. A similar strain called H1N1 was responsible for the 1918 flu pandemic, and the 2009 "swine flu" outbreak. Because people have had less exposure to H3N2 up until now, populations have not had time to build up immunity and thus more people are becoming ill with the virus. Scientists think this season&apos;s flu vaccine may only be about 30 percent effective against H3N2. However, the CDC strongly recommends influenza vaccination for all persons 6 months of age and older. 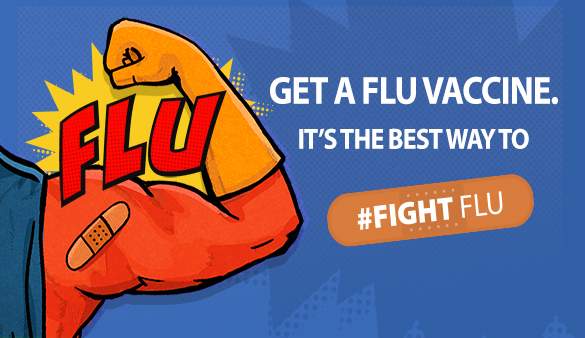 There is still time to get a flu shot if you haven™t done so already. Call your health care provider or visit a local pharmacy that offers flu vaccinations. The Office of Worship, in consultation with local health authorities, continues to encourage the clergy and faithful to observe necessary standard precautions to protect the health of others during this flu season. The best way to prevent the spread of contagious diseases is to practice good hygiene, such as washing your hands frequently with soap and water. Each morning, all parents/caregivers should assess all family members and especially all school-age children for symptoms of influenza (fever plus cough, sore throat or runny nose) or other symptoms, such as vomiting or diarrhea that might be influenza. Each morning all school staff should assess themselves for symptoms of influenza. Students or staff with influenza-like illness (fever plus cough, sore throat or runny nose) should stay home and not attend school. All sick students and staff should stay out of school for at least 7 days even if their symptoms resolve sooner. In addition, students and faculty who are showing symptoms should stay home from school until at least 24 hours after they have completely recovered. School nurses and student health centers should report higher than normal absenteeism to your local health department or to the MDPH at 617-983-6800, as well as to the Office of Risk Management (627-746-5740) or Catholic Schools Office (617-779-3601). If you get the flu, stay home. If possible, stay home from work, school, and errands when you are sick. You will help prevent others from catching your illness. Below is a link to information from the CDC (Center for Disease Control) and the Massachusetts Department of Public health on the flu and flu vaccine.